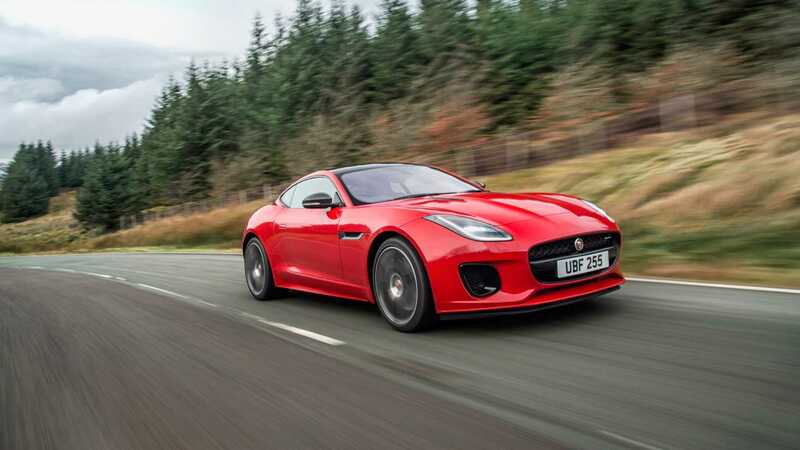 Can A Four-Cylinder F-Type Ever Live Up To Its Jaguar Heritage? 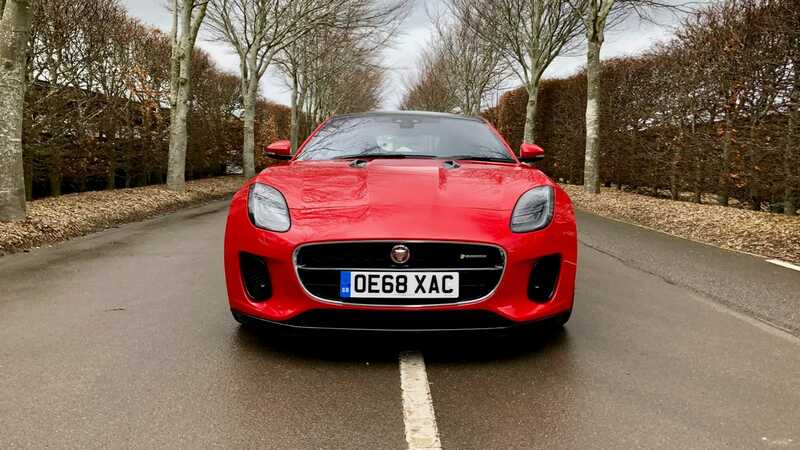 The Jaguar F-Type P300 has the handsome looks of its more potent siblings, but does it deserve its prestigious Jaguar badge? 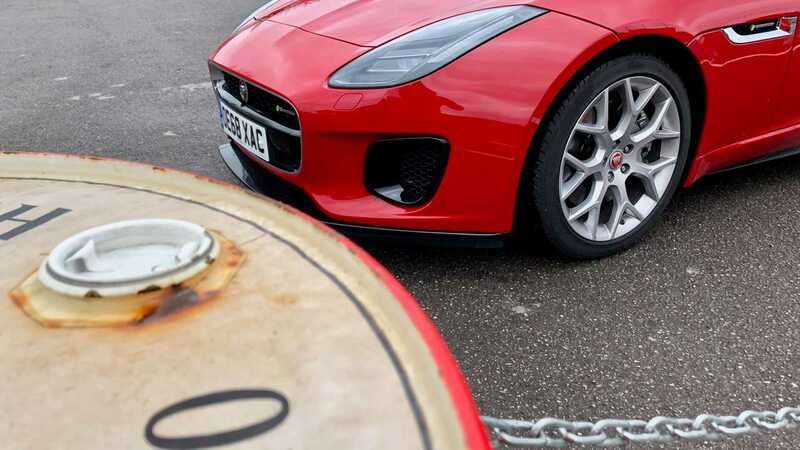 The Goodwood Motor Circuit in England is the epitome of hallowed ground. Since 1948, it has hosted some of the most significant motorsport events in the world with its historic Tarmac able to tell tales of Sir Stirling Moss and Jim Clark battling the grid for victory. The very first race took place on 18 September 1948 with a Mr Pycroft claiming the maiden victory in his specially prepared Jaguar SS 100. 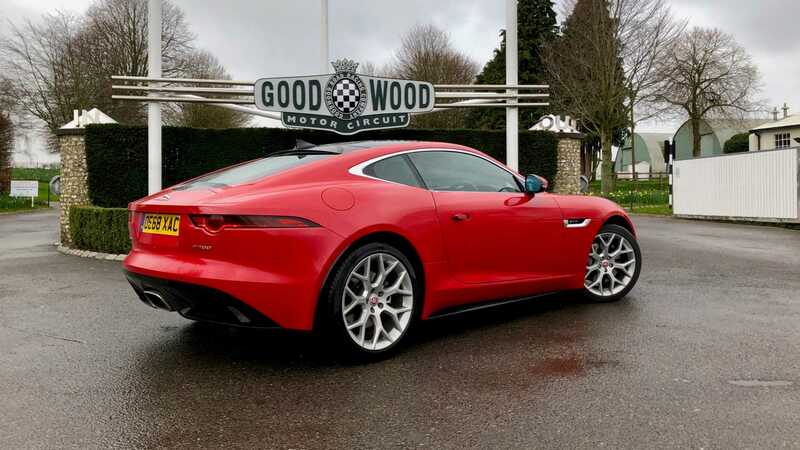 In that regard Jaguar and Goodwood are intrinsically linked, and that’s why we’ve brought a controversial Jag to the surrounding roads in order for history to be the judge. 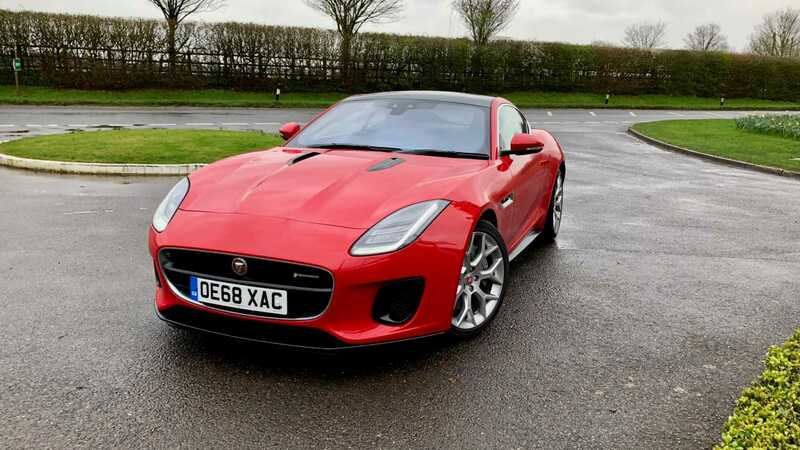 While the car in question might look as handsome as any other Jaguar F-Type in the range, this P300 car features a turbocharged four-cylinder engine as opposed to the more traditional V6 or V8 motors. 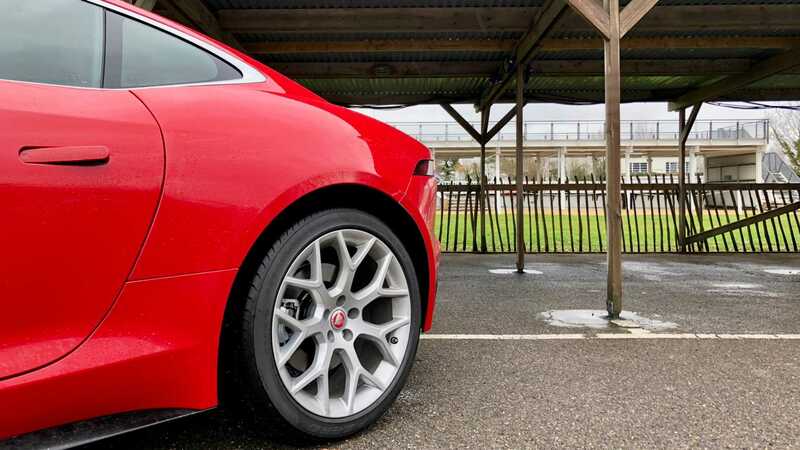 Jaguar is a stoic marque with an incredible history of building some of the worlds greatest racing machines and road-going sports cars. From the revolutionary C-Type, Le Mans 24 Hours winning D-Type, to internationally successful E-Type, its place will forever be cemented in the automotive history books. 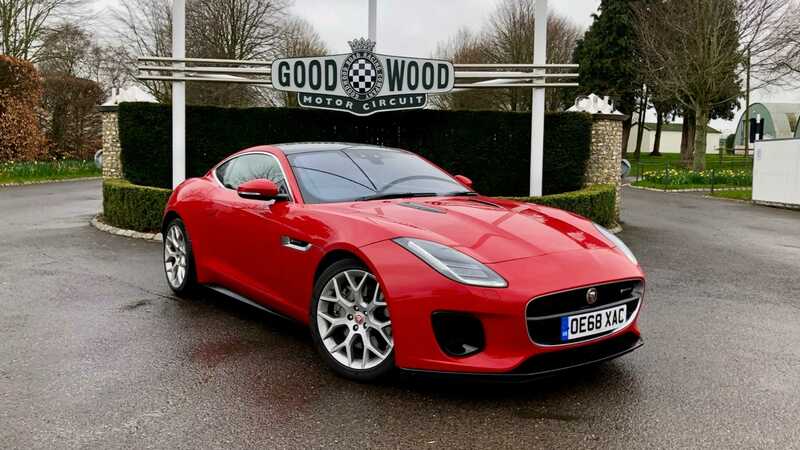 So can this four-pot Jag really live up to its heritage, or is it simply a marketing ploy allowing advertising executive to sell the car at a lower price point? 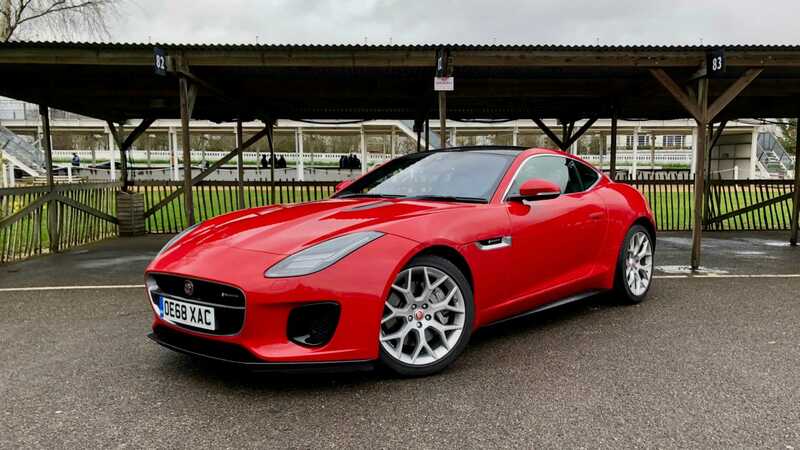 It certainly looks every inch an F-Type, retaining the beautifully well-proportioned coupé silhouette of its siblings. The long bonnet, sloping roofline, and short rear overhang is classic sporting GT, and there’s certainly a nod or two in the direction of the iconic E-Type. 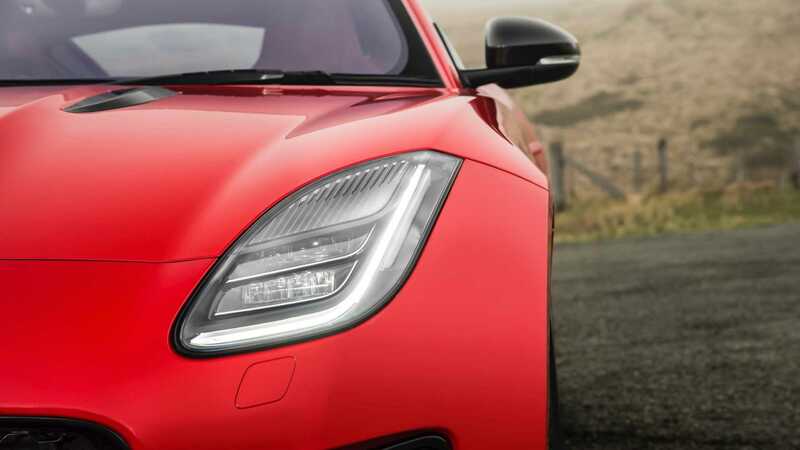 However, bold shoulders as well as a gaping grille very much make it a car of the 21st century. Considering that this design is now six years-old, its clear that its creator Ian Callum penned a shape that defies the passage of time. 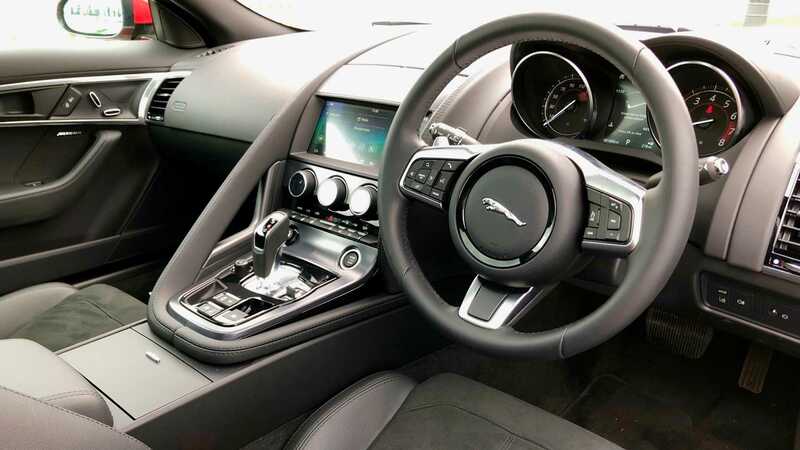 The interior is again near identical to the regular F-Types. You sit low with a three-spoke sports steering wheel pointed squarely at your chest. A high console divides both occupants with a suggestive ‘grab-rail’ on show should your passenger lose their nerve. The starter button pulsates to the rhythm of a heart, but is there a big cat, or just a kitten on the other end of it? The four-cylinder fires enthusiastically through its oversized central exhaust pipe before the car sets off into the world. 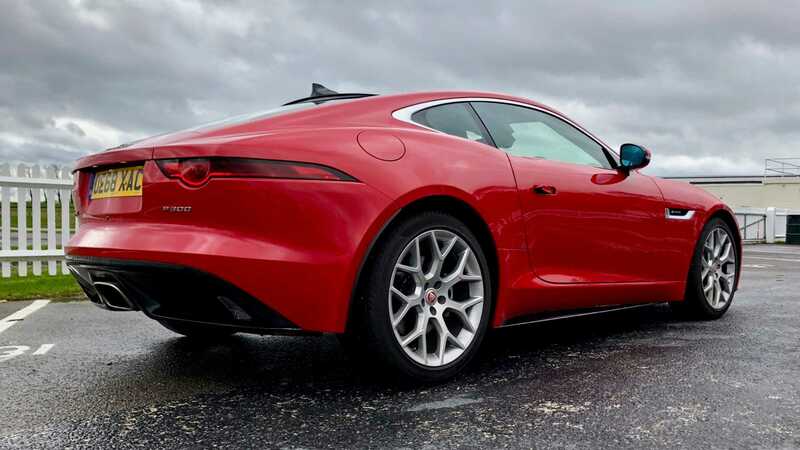 Trundling around at low speeds, the turbocharged engine is as muted as you’d expect — only emitting a slightly deeper tone as the car’s momentum begins to build. The ride is firm, but not uncomfortable and around town it is easily a machine you could live with everyday. Selecting ‘Dynamic Mode’ sets the engine and the eight-speed automatic transmission to its most alert, while the steering gains added heft. Venturing into the undulating hills around Goodwood, the previously subtle differences between this car and its elders is immediately apparent. The torque provided by the new turbocharged engine gives a strong surge of acceleration low in the rev range. 0-60mph is done in a respectable 5.5 seconds, with the smaller motor proving to be surprisingly vocal throughout. 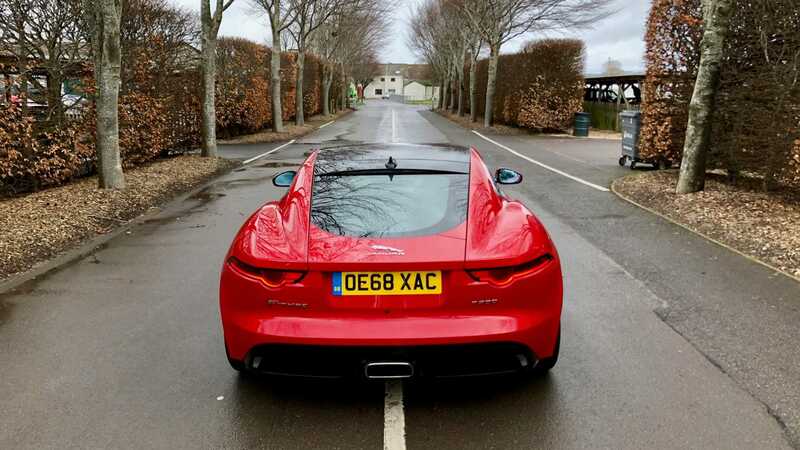 It’s not the most tuneful exhaust note, neither is it unpleasant, and it’s certainly better than what Porsche can muster with the 718 Cayman. 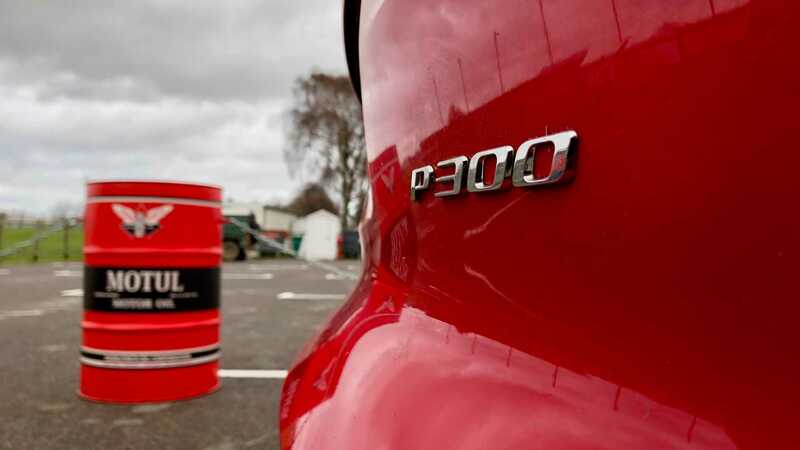 This P300 is endowed with 296-hp which is good enough to get this car to 155mph. The journey there is punctuated by snappy shifts from that ZF gearbox and the odd crackle and pop from the exhaust. However, this isn’t really a motor to take to the redline with peak power at 5500rpm. Instead, in most scenarios you’re far better off short shifting and making the most of the turbo’s thrust. The driving experience isn’t dominated by the car’s pace. 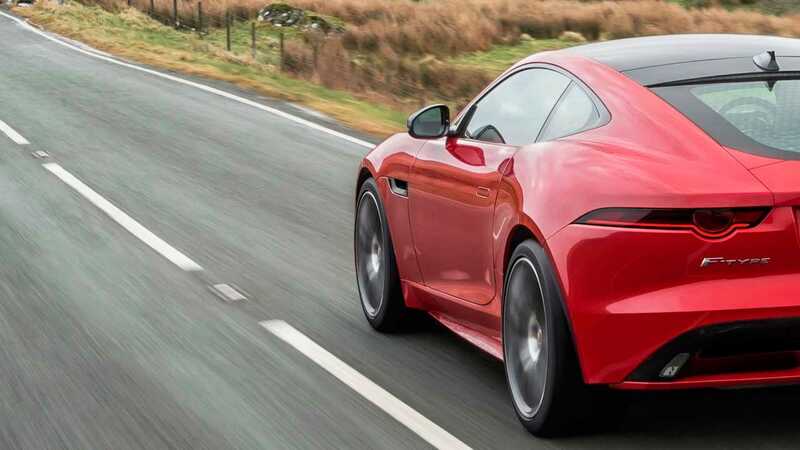 In truth, a well sorted hot hatchback can offer similar performance, instead the F-Type’s handling balance is the real star of the show. 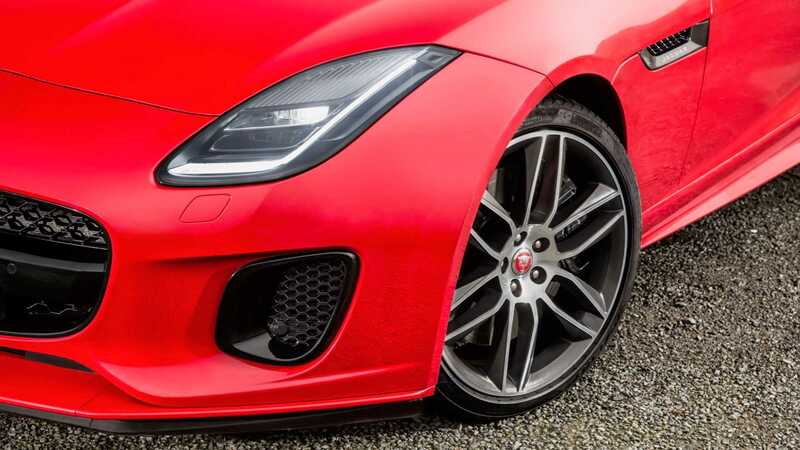 This smaller engine means that the sports car is 52kg lighter than its contemporaries, and that has endless benefits to the way in which it moves. 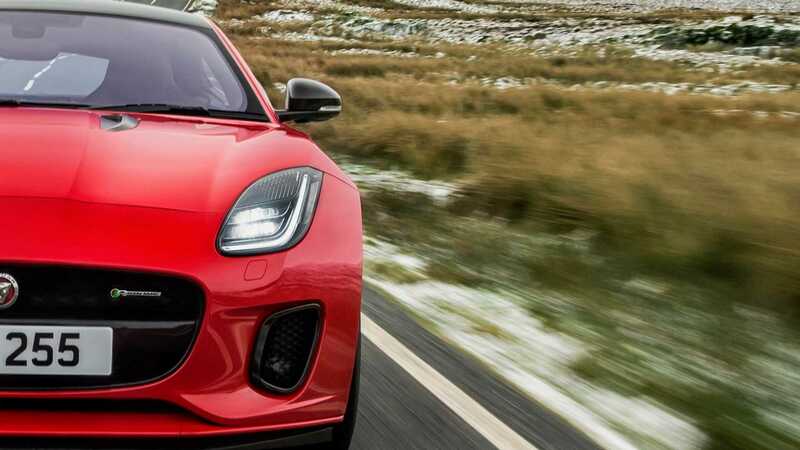 The nose is keener to pitch in, the brakes don’t have to work as hard to slow the car, and the transition from front to rear around a bend feels more fluid. Another big change in the model is to its steering setup. It no longer feels quiet as frisky as you pitch the car in, instead favouring a far more linear response. Like most modern cars, it could do with providing more feedback through the wheel, but it is precise. 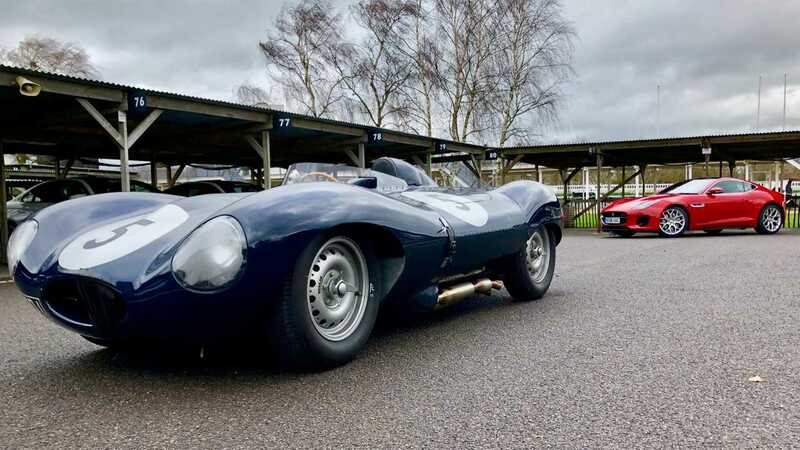 A lack of body roll and a communicative chassis makes for a predictable, yet playful partner in the typically wet British conditions at Goodwood. You can feel the car move through the seat of your pants as the greasy roads ebb and flow beneath the wheels. 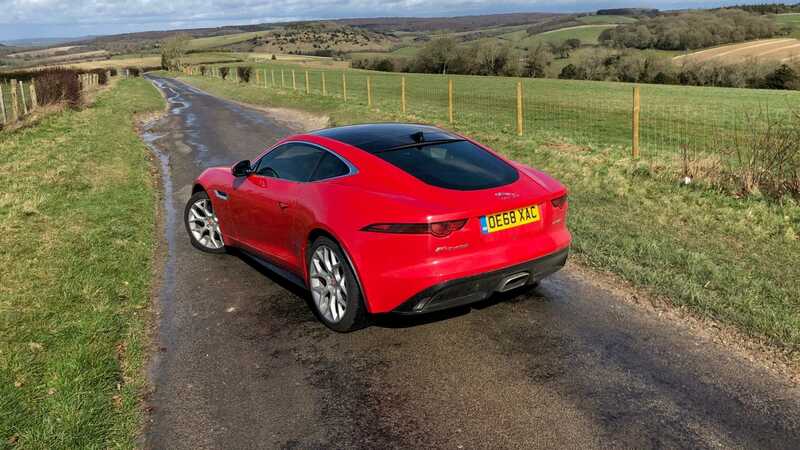 It’s an involving drive that has a pleasing honesty to it, maybe even more so than the less agile V6 and V8 models. 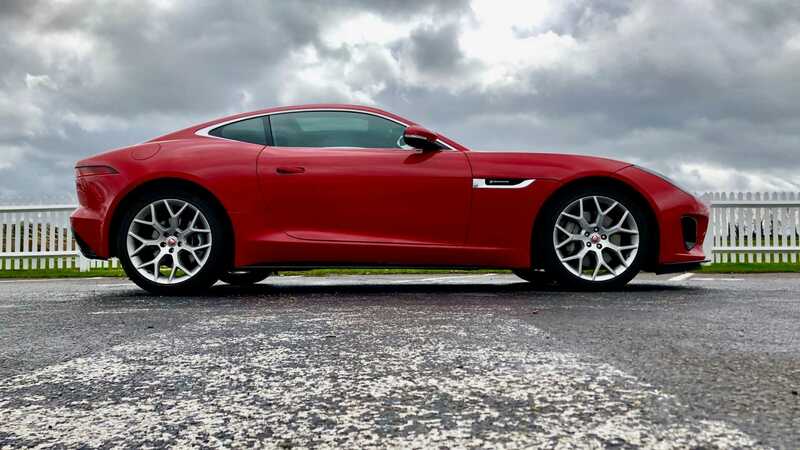 This four-cylinder F-Type might lack the theatre of higher capacity cars, but it is arguably the most dynamically pleasing model of the bunch. Yes, a V6 car is faster, a V8 far more orchestral, but you’ll actually have a grin on your face for far longer in this turbocharged Jag. 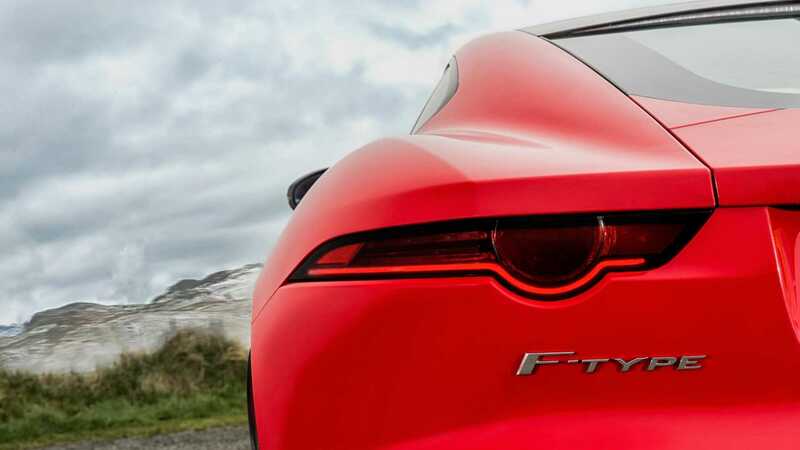 Does this entry-level F-Type deserve its Jaguar badge? Can it support the high-capacity weight of history pushing down upon its sculpted shoulders? Indeed it can. Great sports cars have never been defined by having a huge lump up front, but by the way perform as a complete package. 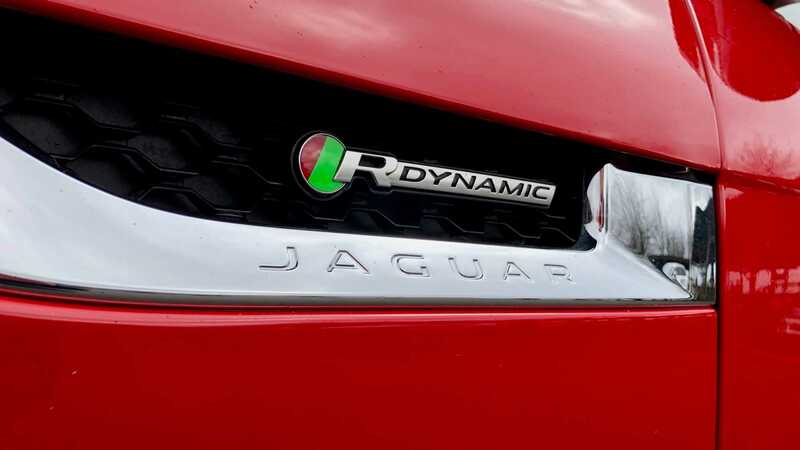 Sure, the 2.0-liter engine succeeds in its bureaucratic box ticking of lower emissions and greater economy, but in the case of this Jaguar, less is truly more. History's Greatest Jaguars Are For Sale For The First Time!